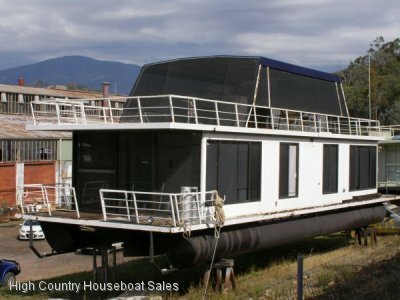 Remove this houseboat from Lake Eildon & purchase the houseboat only without a Lake Eildon Houseboat Licence & deduct $60,000 from the Asking Price. 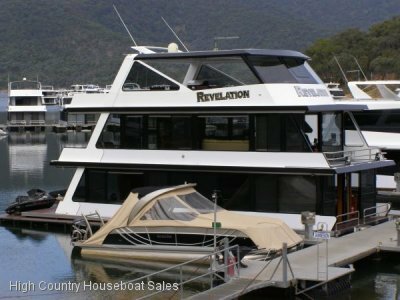 Let your family go fishing and enjoy reeling in the big Trout and Cod on this holiday home on the water of Lake Eildon. 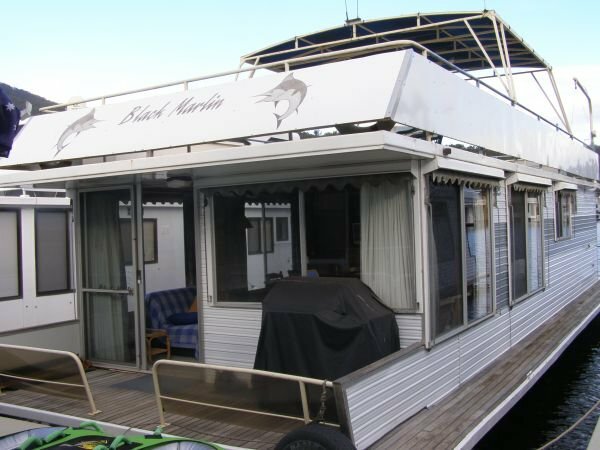 Black Marlin is an entry level holiday home with large front lounge, good kitchen and plenty of room on the rear deck. She is most economical to run. 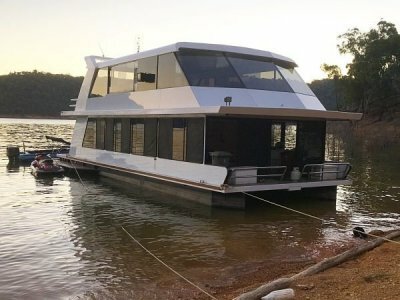 Commence your family's journey on magical Lake Eildon on Black Marlin. 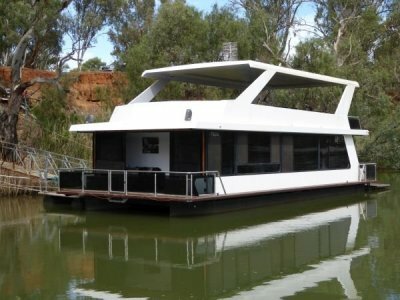 For More Detailed Information & Extra Photos Please Click On "Enquire About This Boat". BR1: Single over double bed bunk; Overhead cupboards; side cupboard. BR2: Double bed with rear view; Overhead cupboard; Wardrobe; Cupboard with mirror. Bathroom: Shower with hip bath; Vanity; Linen cupboard. Kitchen: Electrolux fridge / freezer gas; Roden oven, grill, 4 burner cooktop, rangehood; Pantry. POWER: Honda EU20is generator; Powertech 1000 watt inverter; House batteries Trojan 105 x 4; House batteries Genesis G12V70AH 10EP x 5; Solar panels x 2; Mercury 50hp 4 stroke; motor start battery.